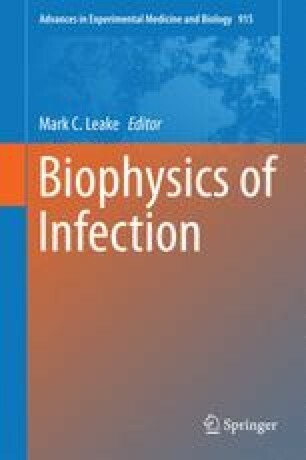 The principles of neutron reflectivity and its application as a tool to provide structural information at the (sub-) molecular unit length scale from models for bacterial membranes are described. The model membranes can take the form of a monolayer for a single leaflet spread at the air/water interface, or bilayers of increasing complexity at the solid/liquid interface. Solid-supported bilayers constrain the bilayer to 2D but can be used to characterize interactions with antimicrobial peptides and benchmark high throughput lab-based techniques. Floating bilayers allow for membrane fluctuations, making the phase behaviour more representative of native membranes. Bilayers of varying levels of compositional accuracy can now be constructed, facilitating studies with aims that range from characterizing the fundamental physical interactions, through to the characterization of accurate mimetics for the inner and outer membranes of Gram-negative bacteria. Studies of the interactions of antimicrobial peptides with monolayer and bilayer models for the inner and outer membranes have revealed information about the molecular control of the outer membrane permeability, and the mode of interaction of antimicrobials with both inner and outer membranes. We acknowledge the STFC for the award of beamtime at ISIS (RB1220350) and the Institut Laue-Langevin (8-02-637/8-02-682/8-02-704), and the EPSRC for a studentship to Laura McKinley (EP/L504956/1).